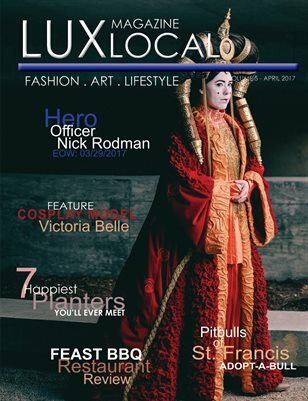 LUX Local Magazine anniversary double issue print version. April 2017. Cosplay and spring issue. NOTE: digital version will have a flip side intended for print. This means the image of the Spring side of the magazine will be upside down.